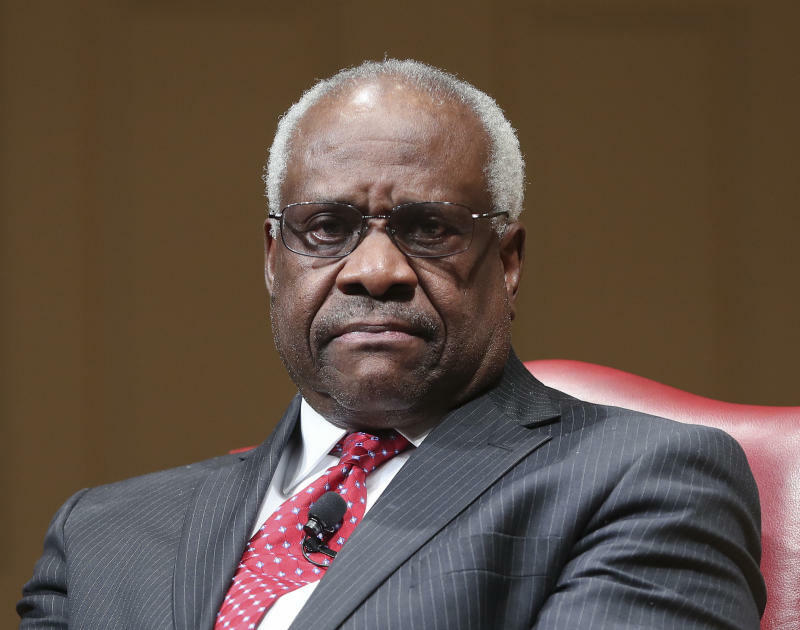 WASHINGTON (AP) — When Clarence Thomas arrived at the Supreme Court in 1991 after a bruising confirmation hearing in which his former employee Anita Hill accused him of sexual harassment, fellow justice Byron White said something that stuck with him. "It doesn't matter how you got here. All that matters now is what you do here," Thomas recounted in his 2007 memoir, "My Grandfather's Son." That view could be tested again if lawmakers confirm Supreme Court nominee Brett Kavanaugh, who's facing allegations by California college professor Christine Blasey Ford that he sexually assaulted her when they were in high school. Kavanaugh, who like Thomas has denied the allegation against him, is scheduled to appear before lawmakers at a hearing Monday, with the outcome of his nomination uncertain. If Kavanaugh does become a justice, court watchers will be looking to see whether his smooth-turned-tumultuous confirmation affects him on the bench and whether having two justices who faced allegations about their treatment of women alters the public's perception of the court, particularly on future rulings about abortion and gender discrimination. Thomas' high-profile public showdown with Hill came to define his confirmation process, which he has called a "nightmare" and which Hill has called a "bane which I have worked hard to transform into a blessing." Those who have studied or know Thomas say his confirmation didn't change the kind of justice he has become. He is now 70 and the most conservative member of the court. But some observers suggest that — rightly or wrongly — it affected his public and private reception, particularly in his early years as a justice. Ralph A. Rossum, professor of government at Claremont McKenna College and the author of a 2013 book about Thomas' legal philosophy, said Thomas' "long and withering" confirmation didn't make him any less willing to write unpopular opinions or interpret the Constitution as he sees it. "What it didn't do is influence him on the bench," said Rossum, who pointed to a dissent Thomas wrote shortly after joining the court, a case where only he and Justice Antonin Scalia would have ruled against an inmate beaten in prison. But Rossum said Thomas' confirmation experience did seemingly make him "more gun-shy to be in public." "I think he was always a private man, and it made him even more of a private man," Rossum said. Law schools, generally only too happy to have justices speak at their events, also seemed to shun Thomas initially, Rossum said. It took a year and a half after he joined the court for him to give his first public speech. Since then, he has sometimes drawn protests when he makes appearances, but those are largely prompted by his conservative judicial philosophy. Hill's allegations do resurface periodically, such as in 2010, when Thomas' wife put them back in the news by leaving a telephone message for Hill suggesting she consider apologizing. Or, in the last year, as stories about the #MeToo movement have referenced Thomas. Former Missouri Sen. John Danforth, a longtime friend of Thomas' who guided his confirmation, wrote in a 1994 book about the confirmation process that Thomas "has thought of the charge of sexual harassment as 'a stain that won't come off.'" But Thomas wasn't changed by "the ordeal" he went through, Danforth said in a telephone interview. "He's just the same, and he's really a happy person, too," he said. Danforth said Thomas "rose from the dead" after being confirmed. At a swearing-in ceremony at the White House ahead of joining the court, Thomas talked about moving on. "Today, now, it is a time to move forward, a time to look for what is good in others, what is good in our country," he said. But not everyone believes that Thomas was able to move on so quickly. The hearings made him a recognizable face where before, as a judge, he enjoyed walking anonymously to lunch with his clerks, legal analyst Jeffrey Toobin wrote in his book "The Nine." After his confirmation, Thomas stopped driving his black Corvette to work because the car was too recognizable, Toobin has written. And for years, Thomas purportedly kept in his desk a list of the roll-call vote on his confirmation. As for Thomas' colleagues, they were cordial but not overly welcoming, Toobin wrote. Thomas, for his part, has denied that his reception was anything less than friendly, writing that all his colleagues treated him with the "utmost kindness and consideration." But the confirmation process tainted how he felt about becoming a justice at the time. Thomas declined an invitation from the White House to watch as senators voted on his confirmation, and he was taking a hot bath when his wife told him he'd been confirmed 52-48. His response, according to his memoir: "Whoop-dee damn-doo."